Andrea began as a Media Planner/Buyer at LEAD before ascending to the position of Media Specialist and then on to Account Manager. 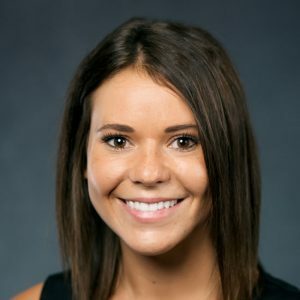 Her career experience includes work on a Buffalo Wild Wings regional franchisee account, as well as Consumers Energy, Brann’s Steakhouse & Grille and YellowHose.com. Andrea holds a Bachelor’s Degree in Communication Arts and Sciences; Advertising from Michigan State University. What I do: Account Management which includes strategic planning, ongoing reporting, and the communication liaison between the client and the agency. I make sure our clients stay up to date with their marketing efforts by providing metrics and insights to their current campaigns, while also seeking new opportunities to make their marketing campaigns more efficient. Project: Developing a strategic marketing plan that produces measurable results above and beyond a client’s expectations, every single time. Client: Retail, Travel, Food, and working with a client who trusts us to implement new and unique strategies that will help achieve their end goal. Pastime: Traveling, taking photos, any outdoor activities (preferably on the beach), playing with my dog, and supporting local restaurants by trying their delicious food. An Insight: Life has no guidelines, if it feels right and it’s true to who you are, proceed with it. Someone who has influenced my professional career: Laurie Keith, a hometown friend and former mentor to me. An out-of-the-box solution: Ask an outsider for their perspective. Often times the answer is right under your nose but you’re too involved with the problem to see the solution. When I was ten: I wanted to be an obstetrician. I was (and still am) absolutely enamored with babies and was fascinated by the idea of bringing little lives into the world. I aspire to: Give back to others as much as others have given to me. Skills: I am honest, hardworking, efficient, and a quick learner for this ever-changing industry we’re in! Attitude: I have an attitude of commitment, above and beyond anything else.